For more than seven years the leaders of 12 countries gathered amidst increasingly angry protests at diverse locations around the world negotiating in secret what was intended to be the mother of all trade deals… the Trans-Pacific Partnership Agreement (TPPA). With very few details being released publicly, the TPPA was claimed to bring increased levels of prosperity to those who signed up to it, along with improved levels of compliance and governance. Governments and industry globally spent huge amounts of money getting ready as negotiations on a small number of sticking points dragged on for months and months. Intended to be as much a legacy of the Obama administration as a mega trade deal, the TPPA was set to represent more than US$28.7 trillion in trade, comprise about 830 million people, and account for some 26.6 per cent of world trade – 11.4 per cent of which would have been among the 12 TPPA members. According to its supporters the TPPA would have boosted member countries’ GDP by an average of 1.1 per cent by 2030, and increased trade by 11 per cent over the same period. The biggest winners in Asean were expected to be Vietnam and Malaysia, whose GDPs were forecast to increase by 10 per cent and 8 per cent respectively by 2030. 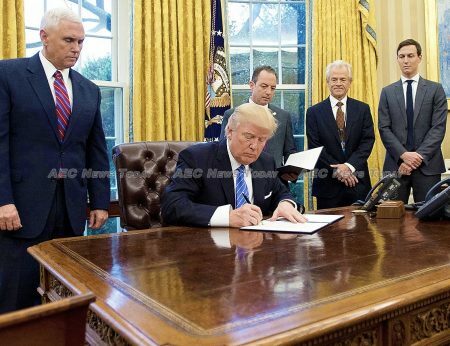 However, all of these efforts amounted for nothing when, on his first day in office, US President Donald Trump signed an executive order withdrawing the USA from the TPPA. With the USA representing 11.4 per cent of global trade and 41 per cent of trade among the 12 TPPA members, the decree immediately stripped $18.6 trillion from the worth of the TPPA and saw its representation of world trade plummet to 15.2 per cent. Interregional trade was slashed to just 2.3 per cent. From representing 40 per cent of global GDP, the TPPA suddenly represented just 13.5 per cent. The withdrawal of the USA set the leaders of those countries abandoned by the move scurrying to find a solution, lest all their previous work was to end in vain. Chief among those attempting to breathe life back into the mortally wounded TPPA was Japanese Prime Minister Shinzo Abe, and with good reason. With the USA out of the picture Japan’s share of interregional trade under an 11 member TPPA will jump from 10.4 per cent to 24 per cent. Other winners of a USA-less TPPA 2.0 or TPPA11 are Australia, Malaysia, and Singapore, whose share of intraregional trade also increases. 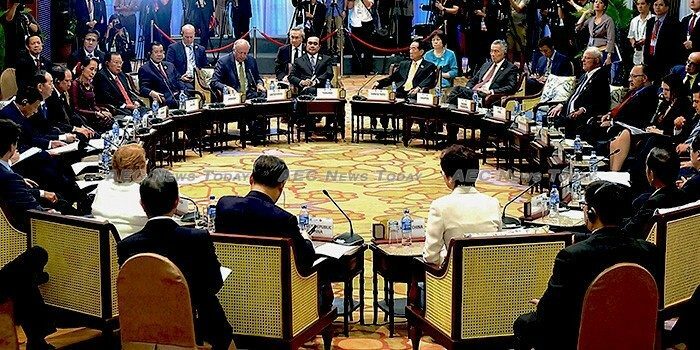 The result, thrashed out last month on the sidelines of the Asia-Pacific Economic Cooperation (APEC) summit in Da Nang, Vietnam, is the Comprehensive Progressive Agreement for the Trans-Pacific Partnership, or CPTPP for short. Expected to come into effect in January 2019 after six of the 11 remaining TPPA member countries ratify it, the CPTPP is far from the mega, socially responsible, good governance promoting trade pact that was originally envisaged. Some 20 sections of the original TPPA aimed at improving governance, transparency, and human rights have been stripped from the CPTPP, and won’t be reinstated without mutual consent, including seven sections relating to Intellectual Property (IP). While most of the contentious Investor-State Dispute Settlement (ISDS) system chapters remain intact, its teeth have been largely pulled by suspending provisions that enabled investors to submit arbitration claims for breaches of ‘investment agreements’ and ‘investment authorisations’. Also suspended in the CPTPP are provisions in Chapter 20 of the TPPA relating to the environment requiring members to ‘prohibit the domestic sale of products harvested in violation of foreign conservation laws’. Additionally, exceptions have been sought by Brunei and Malaysia over their state owned energy companies, while Vietnam is seeking an exemption from trade sanctions over labour standards and laws regarding labour unions. Additionally, Canada is seeking an exemption relating to cultural identity protection. Moreover, while some are portraying the CPTPP as having the potential to lure the USA back into the fold some time in the future, the newly thrashed out deal makes that unlikely. The veto power that the 12 members of the TPPA had over new admissions to the group is carried over to the 11 members of the CPTPP and the USAs recent declaration regarding Jerusalem alone makes it unlikely that its presence would be welcome, even with its $18.6 trillion in trade. 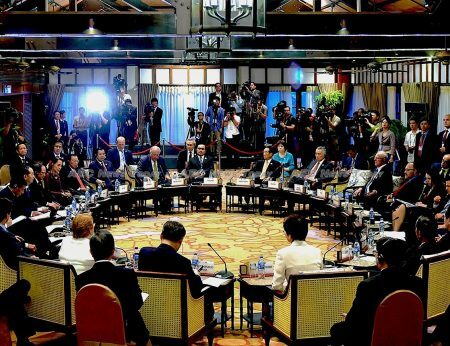 With all Asean members of the CPTPP already having free trade agreements (FTAs) with each other and with Japan, one of the potential big winners from the protracted trade talks is Canada, which currently has no FTAs with any Asian CPTPP country, but for who Japan, Malaysia, and Singapore are important trade partners. In addition to gaining access to Asean markets, Canada and its fellow CPTPP and North American Free Trade Agreement (Nafta) member Mexico, have good potential to attract increased inbound Asean investment by those looking to use their existing agreements to enter the US market. At the opposite end of the table is Vietnam where millions of dollars has been spent over the past several years, particularly in the garment industry, to ensure compliance with the TPPAs country of origin requirements. Rather than the 6.7 per cent increase expected under the TPPA, Vietnam’s National Center for Socio-Economic Information and Forecasting (NCIF) now says that the boost to Vietnam GDP is likely to be a meagre 1.32 per cent. Additionally, rather than a 15 per cent jump in exports and a 10 per cent increase in imports under the TPPA, the NCIF says the figure is now more likely to be 4 per cent and 3.8 per cent respectively. Gains expected as a result of tariff eliminations with the USA as a partner have been been slashed from 6.79 per cent of GDP, to just 1.1 per cent under the CPTPP. In the meantime Singapore, as Asean chair, is charged with driving the Regional Comprehensive Economic Partnership (RCEP) to completion, which sees China, India, South Korea, and Japan help boost the pact to a worth of more than $49.5 trillion, or 39 per cent of global GDP, and cover more than 3.4 billion people. An earlier version of this story implied that the veto powers of CPTPP members was new. It was in fact contained in the original TPPA. The sentence has been corrected to better clarify the situation. What Happened to Russia’s ‘Pivot to Asia’? 2 Responses to "TPPA Becomes CPTPP: From Trade Pact Princess to Cinderella *Updated"
Thanks for your story on the CPTPP. Many of the points you raised are important. However, I might offer a slightly different take on the following: The original TPP agreement always required a consensus agreement among the 12 members to admit new members thus individual nations already had somewhat of a “veto” authority. Twenty “elements” in various chapters, not sections, were stripped out of the TPP in drafting the CPTPP, All of the over 50 TPP chapters were transferred to the CPTPP, with twenty changes, made to specific provisions in the 4-6 chapters (IPR, ISDS, Labor, Environment). Thus while the CPTPP is not 100% identical to the TPP, one could say its pretty close given that the majority of the chapters and provisions in each chapter are identical in both agreements. Canada and Mexico do indeed stand to gain much more in trade in the CPTPP, than they would have in the TPP with the U.S. That fact seems to now be a factor in the NAFTA modernization negotiations. Given that Singapore and Australia recently implemented a set of upgrade provisions in the bilateral FTA making it more like CPTPP, I expect Japan, Singapore and Australia (followed by Malaysia after their elections) will play more active leadership roles in both the concluding the CPTPP and the moving the RCEP negotiations forward in 2018. Thank you for reading and for your observations. The TPPA/ CPTPP is a complex topic to write about given the broad reach the original agreement had and the wide assortment of topics the deal covers. Thank you for your clarification on the veto powers. I will add a clarification to the story and note the change at the bottom as per our editorial guidelines. Hopefully Singapore, with the assistance of Japan, Australia, and Malaysia will bring the RCEP to fruition this year. What that will mean for the CPTPP without recruiting additional members and, on a larger scale the USA, is anyones guess. For Asean member countries the future for trade is looking considerably bright, though the propensity to replace tariffs with non-tariff trade barriers is undermining many of the gains. The question for some though is whether they can transition to Industry 4.0 fast enough to maximise the benefits, and maintain the steady supply of skilled labour 4.0 needs. The shutting down of political space in several countries, coupled with growing ultranationalism in others, has the potential to see governments side tracked in their attempt to hold onto power, resulting in important matters of policy and improvements in governance left by the way side to the detriment of those nations. Thank you for reading and for taking the time to comment.